Que the VIP style history lesson. When you are a member of one of the world’s most notorious crime syndicates it is invaluable to maneuver under the radar of local law enforcement. The Yakuza needed a way to stay off the grid when traveling, yet maintain a sense of power in the form of a mildly modified luxury car. 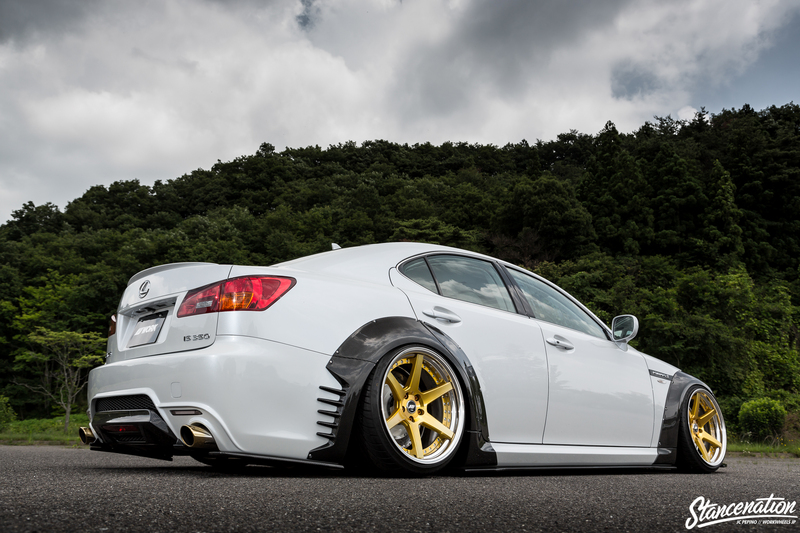 Big body sedans from the likes of Toyota and Nissan typically handled the job and commonly sported a lowered ride height and wheels varying in style along with reserved body kit pieces. VIP has been around for ages and as time has passed it has evolved and grown as all things do. Gone are the days of subtle suspension tweaks and simple window curtains, but a flashier and more extraverted aura surrounds one of Japan’s most popular and at times, underground auto cultures.While those that favor these land yachts that ride centimeters from the ground aren’t running and gunning like the mobsters that inspired this style years ago, their rides are definitely influenced by them. 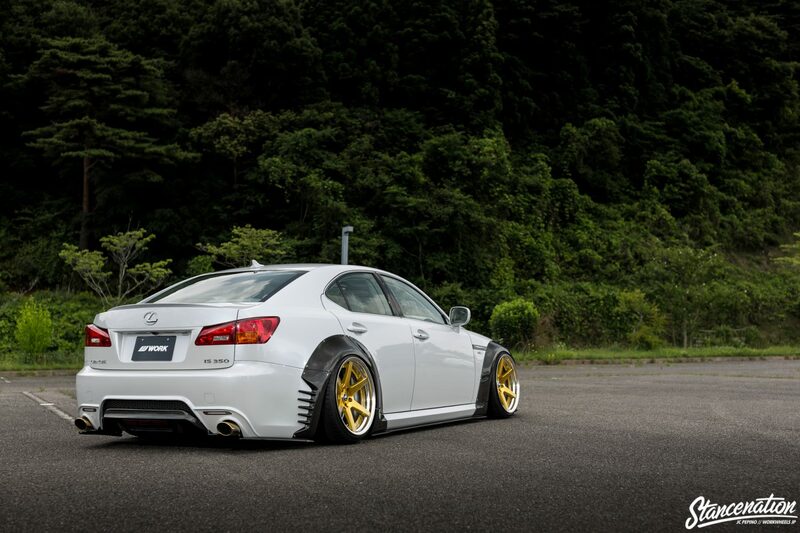 Here we have Saito-san’s Lexus IS350 R-Praide. 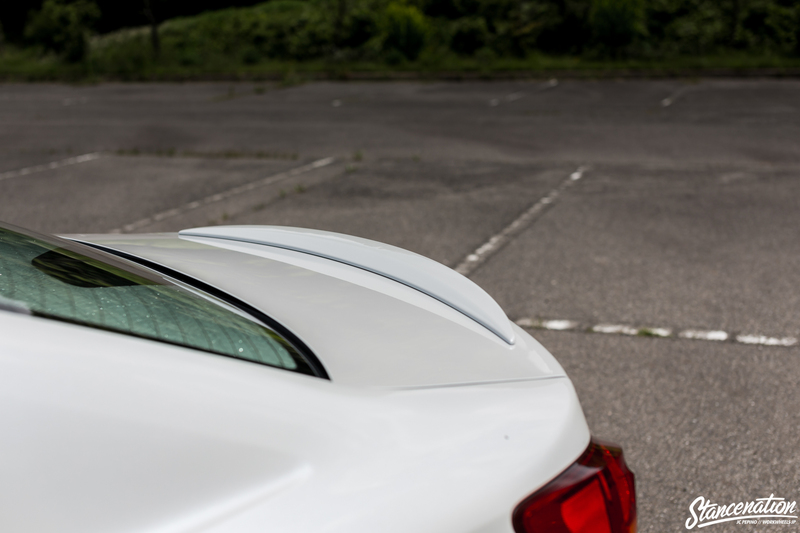 Yoshiya Saito founded Autech Shirakawa back in the early nineties and at the time they were little more than a used car dealership, but Saito-san had a greater vision for the future. 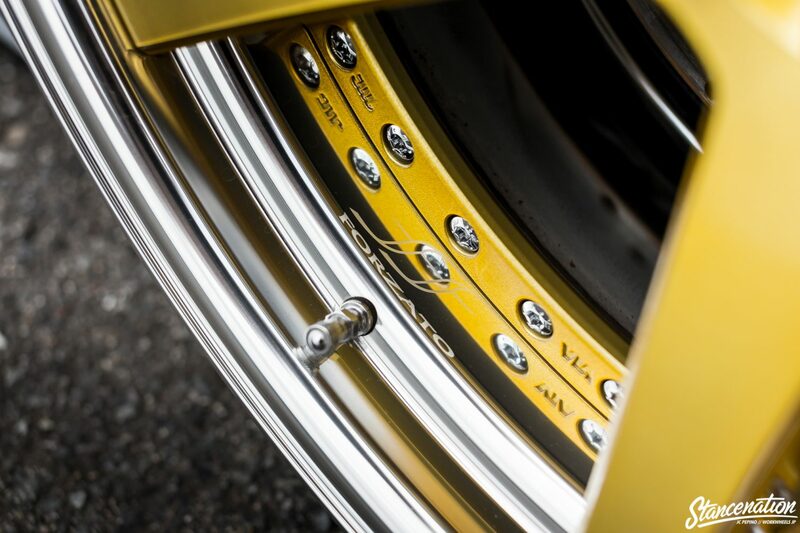 He had always taken a liking to modified imports, specifically ‘bippu’ cars and wanted a way to express his interest by the way of fabricating custom parts for said vehicles. 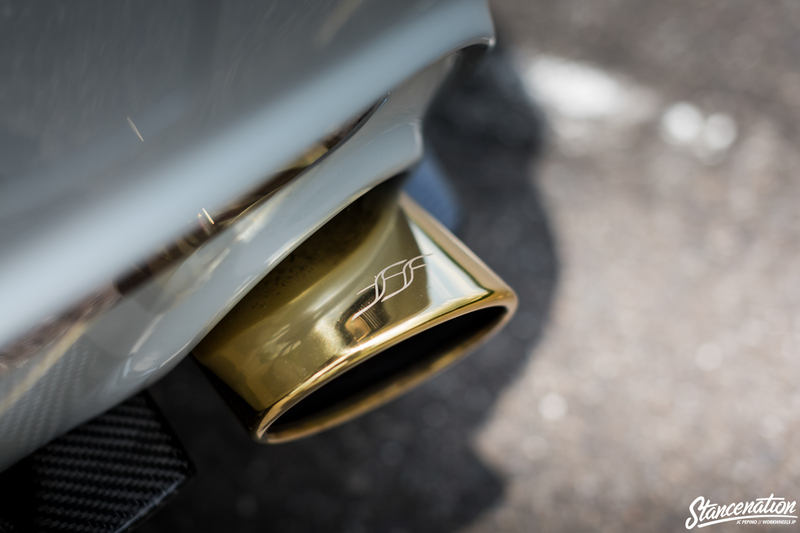 In 2008, Yoshiya closed the doors to his dealership and founded the brand known as Forzato. 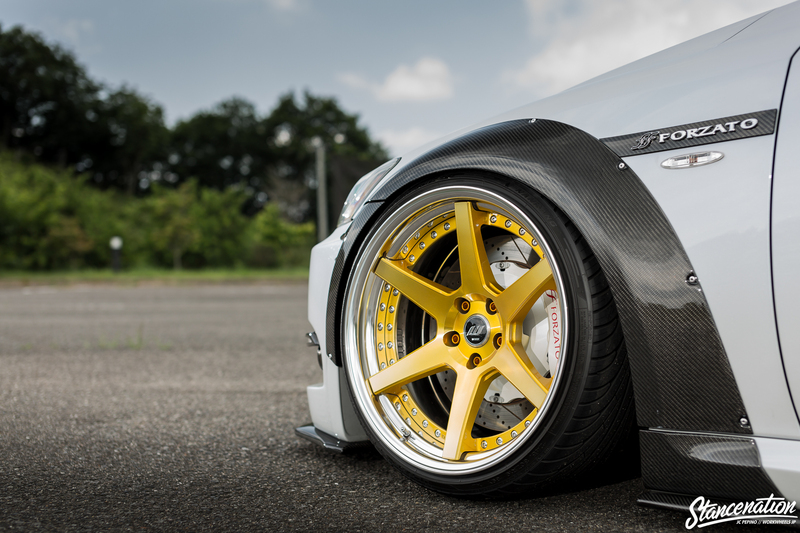 Specializing in body kit, interior, and big brake application, Saito-san’s crew started to make a name for themselves in the VIP scene. 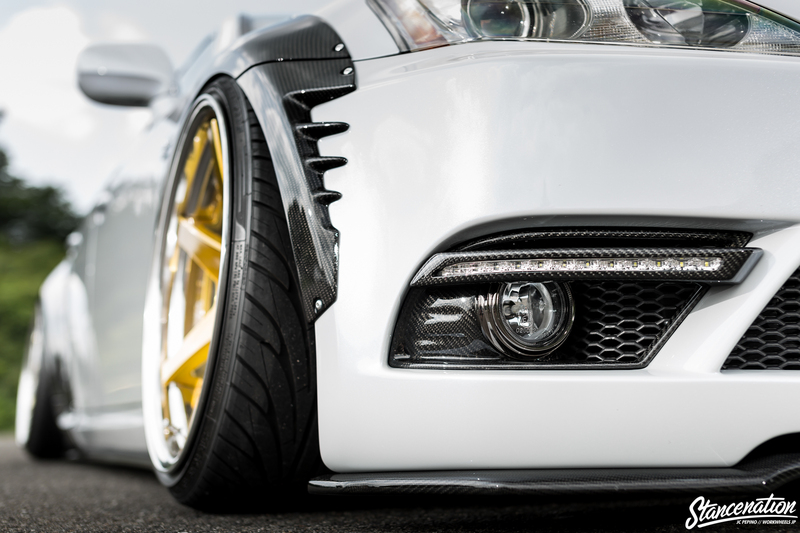 With a growing number of customers they began toying with the idea of building a demo car to showcase their work on various stages around the country throughout the year. 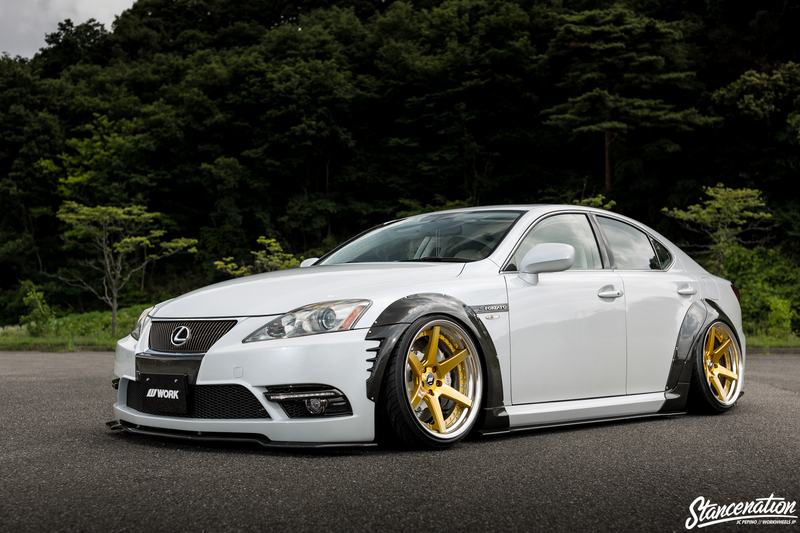 The Lexus IS seen in the photo set started life as a bone stock example that was to be built from the ground up using parts available exclusively with Forzato. 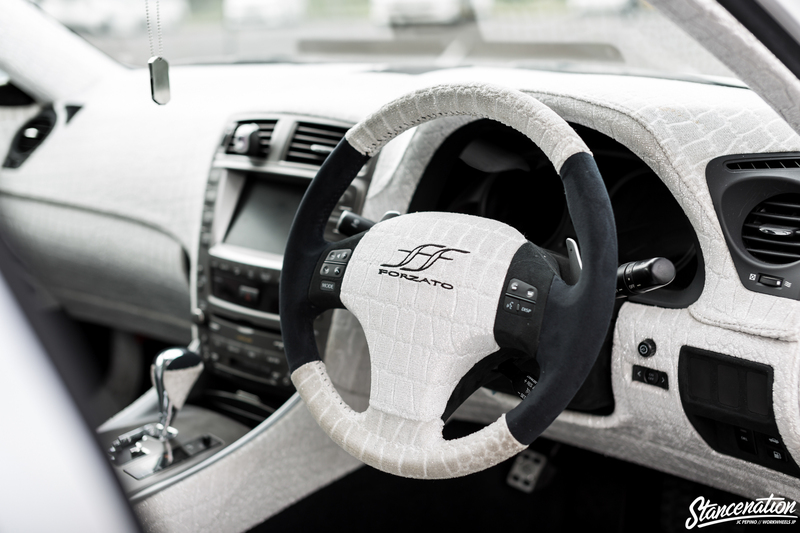 Saito-san didn’t intend for the car to see daily driving duties, but to carry the brand’s flag as a show exclusive centerpiece. The flares, bumpers, and interior are all made in-house and while they carry a hefty price tag, the phrase “you get what you pay for” couldn’t be more relevant as the quality and workmanship is top notch. 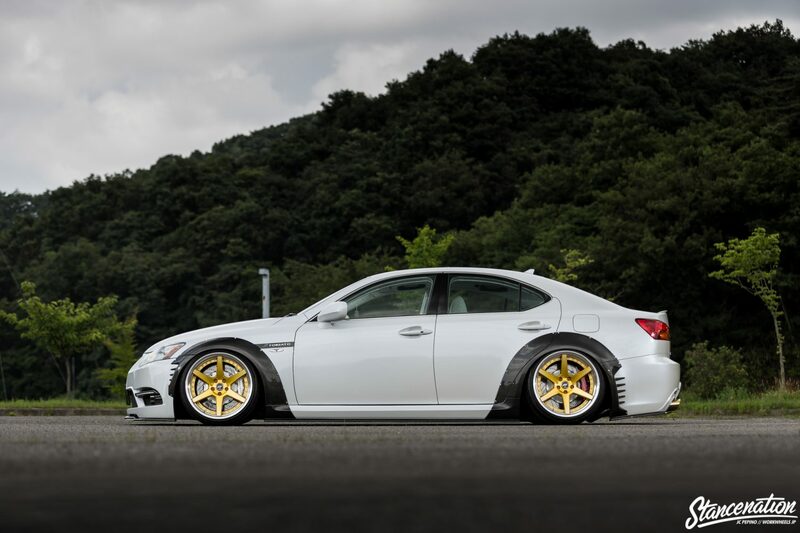 Air suspension is the go to solution in a majority of today’s bippu builds and while coilover fitted vehicles are still commonplace, the instant adjustability and comfort makes driving a breeze. 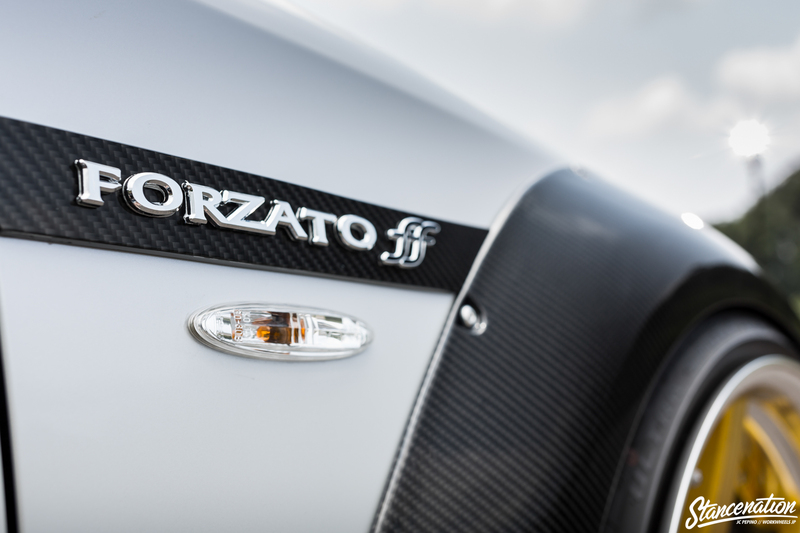 The Forzato IS350 uses a custom air strut and shock combo to bring it closer to earth and nestle the Work rollers under the flares. Staying true to classic VIP trends the aggressive offsets and healthy amount of dish look right at home on the car. 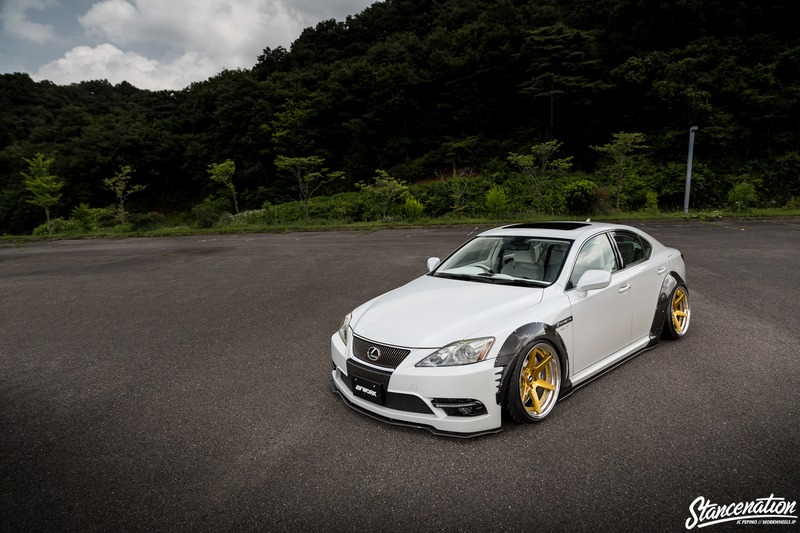 Once Saito-san’s crew had the bodywork and suspension sorted they began tackling the interior in order to get it ready for its debut at Tokyo Auto Salon 2015. 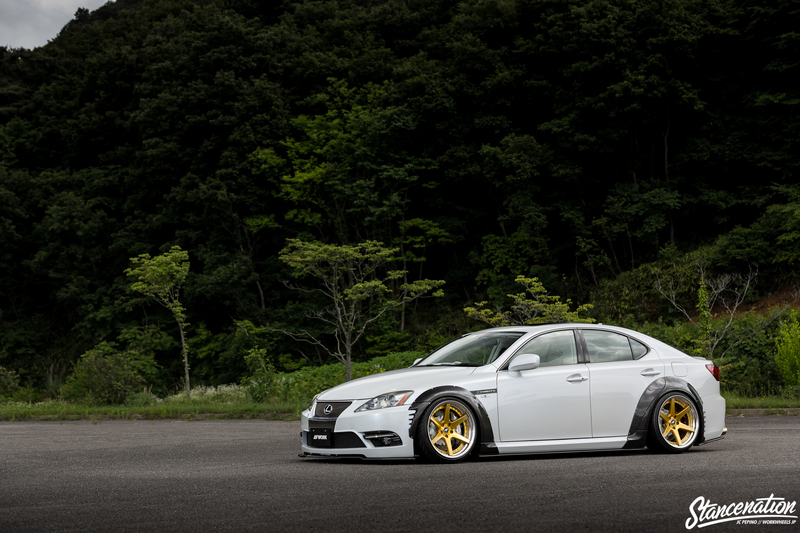 Like most builds in Japan, no stone was left unturned and everything was removed leaving a blank canvas to work with. It seems like it is impossible to surprise show-goers these days with so many incredible rolling works of art present at various events, but the white crocodile leather definitely turns heads. 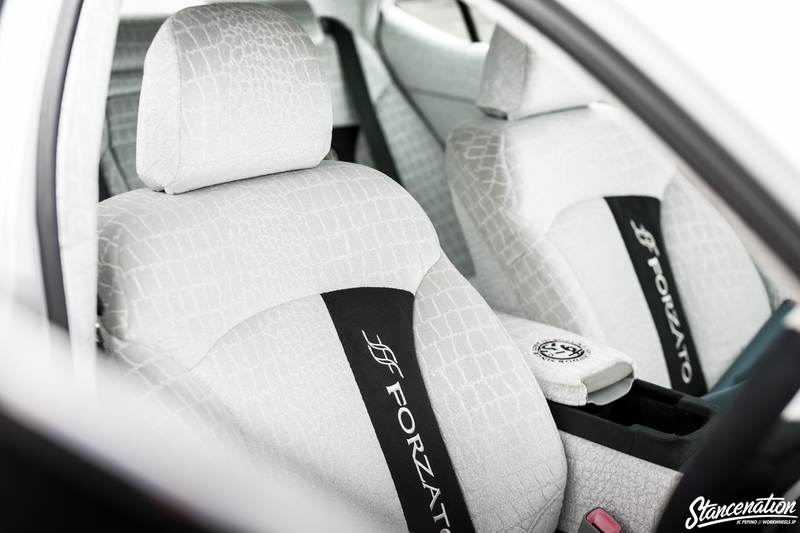 The Forzato crew joked that it was incredibly difficult to keep clean, but with it being a show specific car they don’t have to worry much about greasy fingers or spilled drinks raining on their parade. Although these photos are going on three years old you wouldn’t know it unless you were the photographer or attendee to TAS ’15. That is what has kept Forzato on the map for such a long time. They are able to stay ahead of the eight ball and judge trend movement in a punctual fashion without dumping countless parts at a build just to fill space. 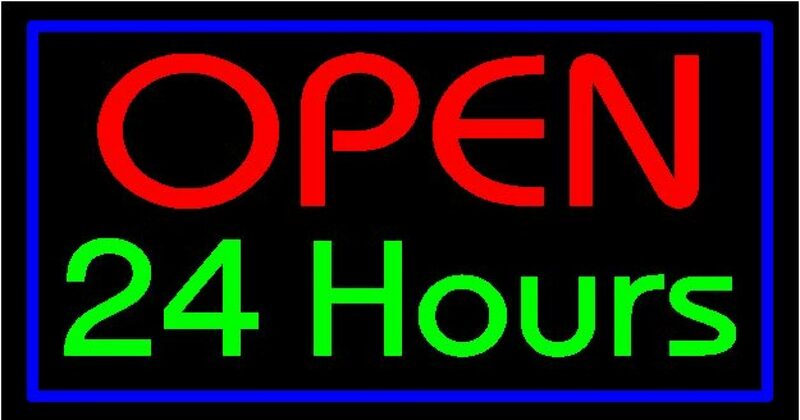 They get things done in an efficient and effective manner. I’ve said it before and I’ll say it again. Sometimes less truly is more.